Somersworth NH folk-rock three-piece Cursed on Earth's music has been described as "versatile, atmospheric, and somber folk-driven tales, not for the faint of heart". BLACK SANDS is a new original web series and the name of the fictional seaside tourist city where the series takes place. A postmodern, neo-noir tale about brotherhood, betrayal, murder, corruption, and the madness of the American Dream all set in the idyllic surface of Black Sands. 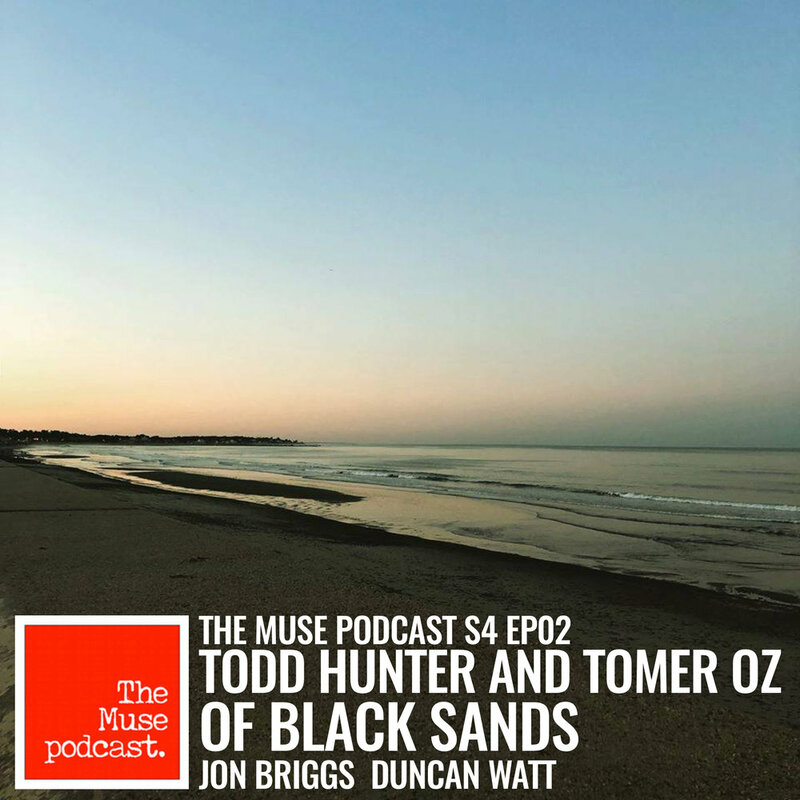 Todd Hunter is the Director, Co-Producer, Co-Screenwriter, and Creator of BLACK SANDS, and Tomer Oz is the Co-Producer and Co-Screenwriter of the project. A veteran of the Boston, Providence and Seacoast scenes, Leo Ganley has fronted many successful acts, including Father Nature, The Olives, Chaining Texas, Weed Inc. and The Lemon Fresh Kids . Leo plays five songs, and talks about a lifetime in music. New England-area guitar legend Jon McCormack is a veteran of a long line of successful local and national bands, including Museum Of Science, Fly Spinach Fly, Shango, Camarojuana, Order Of Thieves and many others. His newest project, "Paintbox" is also the name of his new band, and is being adapted for the stage in early 2019. Vocalist Chloe Minicucci and guitarist Jake Grazier from Seacoast area indie/emo band Who's Bella drop into the barn to sing three songs. James Force and Erik Spooner are members of the Boston-based indie-experimental band Subpar Co-star. Internationally-acclaimed touring and recording band The Mammals have been playing their brand of progressive folk/old-time/bluegrass since 2001. The Washington Post writes “(The Mammals) ...don’t suffer from multiple-genre syndrome, they celebrate it as if gleefully aware that the sound barriers separating old-timey music, vintage pop and contemporary folk are as permeable as cotton.” Their new album, "Sunshiner" is currently in pre-release, and Mike and Ruthy came to the barn to play three new songs, and talk about life as an independent band touring the world and playing original music in 2018. Novel/Novella is a evocative, ethereal and experimental duo from the Northeast US. Nick and Taylor debut their new song, "Sleepless Mother" in an acoustic format, then talk about their innovative writing process. New Seacoast NH post-punk outfit Small Noise Complaint comes into the barn and bangs out two new songs, then the band talks about playing rock music as young people in 2018. Pop Culture Icon (aka Gabe Smith) is a DJ, an EDM artist, and a multi-media visual artist. Folk/blues artist Buddy Hutchins brings his brand of rebellious honesty to the Airstream to close out our series of short podcasts recorded at Harmonium Music Festival. Made up of two ex-punk musicians and their two amazing kids, the Square Circle Family Band debuts their song “After The Rain”. This is the third of four short podcasts recorded live at Harmonium Music Festival. Parents Choice Award-winning “one-man-band” KB Whirly travels the country playing traditional and original songs. This is the second of four short podcasts recorded live at Harmonium Music Festival. Emerging singer-songwriter Kacie Grenon plays her song “Island” and talks about songwriting and playing with her band, “Last Reach”. This is the first of four short podcasts recorded live at Harmonium Music Festival. Singer-songwriter James R. Gray (Down With Me) mixes traditional country with Appalachian and punk overtones. Super-inventive instrumental trio The Demon “strives to be everything a traditional organ trio is not”. 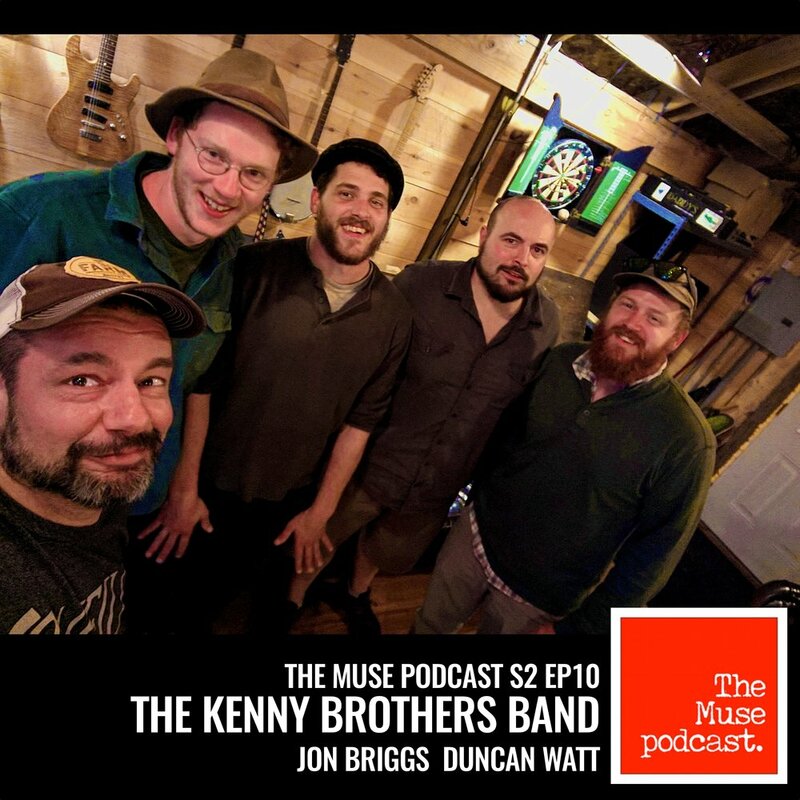 Members Kelly Bower (Hammond organ), Rob Ziminsky (guitar) and Steve Ruhm (drums) talk about collaboration over time, the recording process, and blast through two unreleased songs. Meta-project North To Port is both a band and (also) a podcast. Each episode chronicles Matt and Barbara’s adventures in the form of a road interview taped at a tour stop location, and features one of their songs. Hip-hop artist Eyenine has toured with RZA, GZA, Raekwon, and Supernatural. His upcoming release is "A Little Above Low Key". 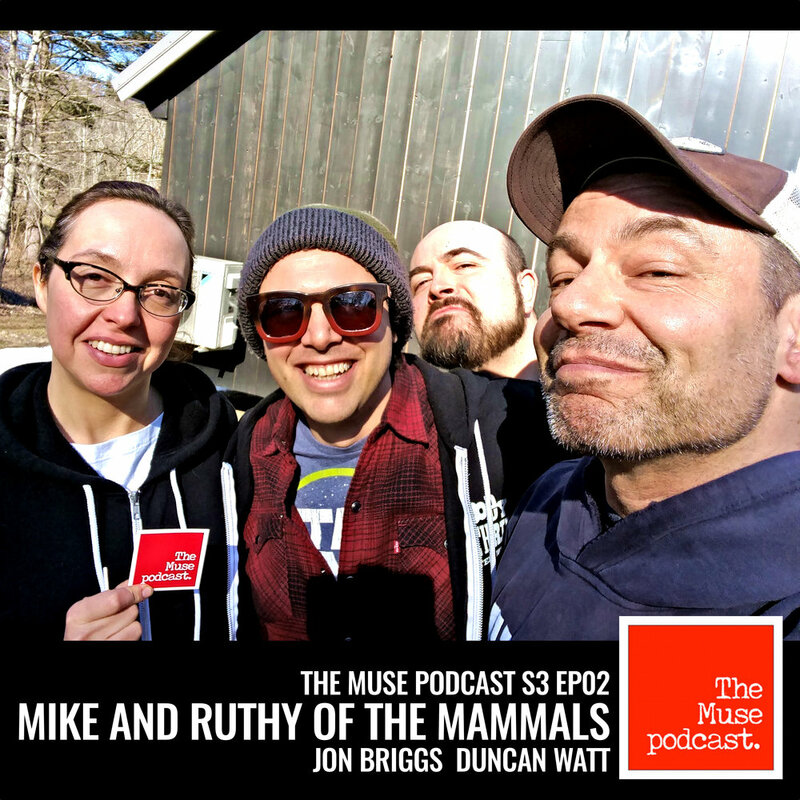 [SEASON-ENDER] Duncan and Jon sit down and talk about the first season of The Muse Podcast.